Based on the SketchUp models I’ve discussed previously, this is more than enough poplar for the carcase. It should cover everything necessary from the ten inch wide panels that form the bottom and intermediate dust frames between the main box and drawer, to the massive 12/4 thick side apron pieces, and literally everything in between. Forming and shaping the Louis XV style legs will be an educational experience. I can’t wait! Finally off to the left rear in the image above, are two more pieces of poplar for the prototype. Along with this, I’ve managed to pick up some materials that will be used in the final piece, specifically the marquetry. 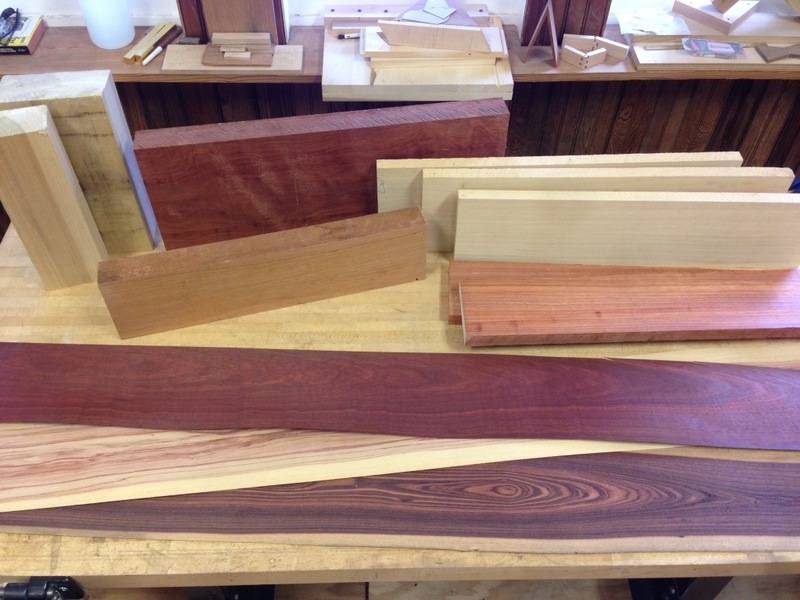 The massive reddish block near the center back is bloodwood, in front of that to the right are three pieces of satinwood, and two padauk boards. 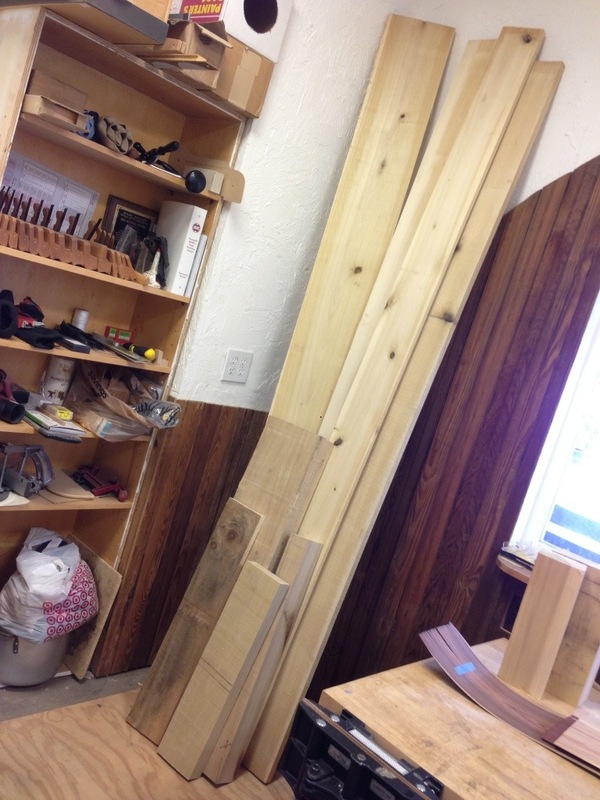 To their left is a chunk of Spanish cedar (which smells wonderful!). All of these will be resawn into 1/16 to 3/32 inch thick sheets of veneer which can be combined into packets to create the final designs. You will also note three sheets of commercially sliced veneer towards the front. 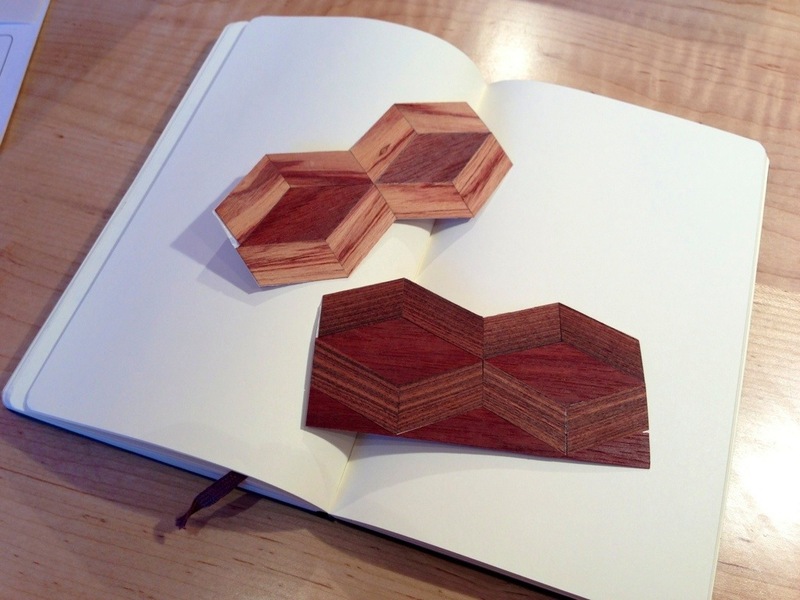 These were used to assess the proper species for the parquetry on the side panels: kingwood, tulipwood, and bloodwood. I had the ideal board for this element already in my rack. As a single “unattached” unit, it would be quick to complete. It can be used to gauge the layout of the other carcass pieces. 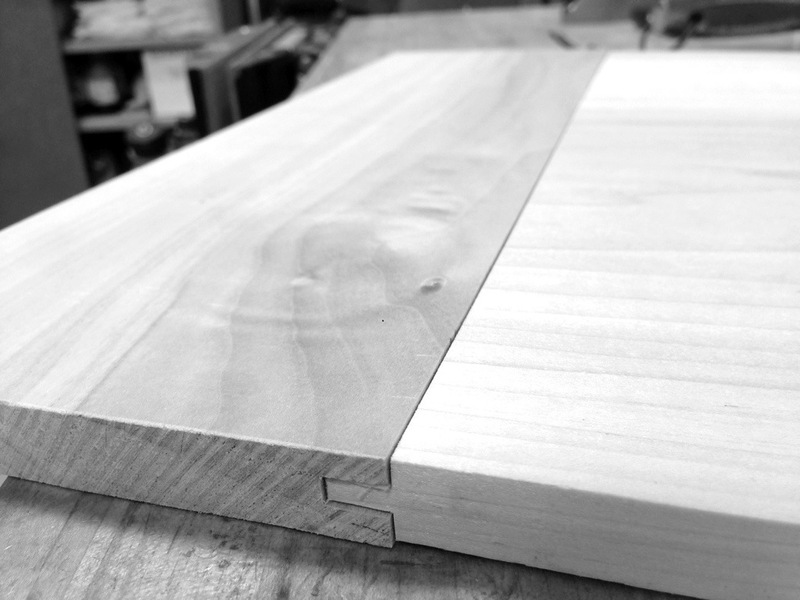 The top is substantially flat with breadboard ends to help keep it that way! In the original (and final version of this project! ), this surface is the substrate to which the marquetry is adhered. Wood changes shape with the variation of moisture content in the air. This construction technique assures that the panel field will experience minimal “cupping”. 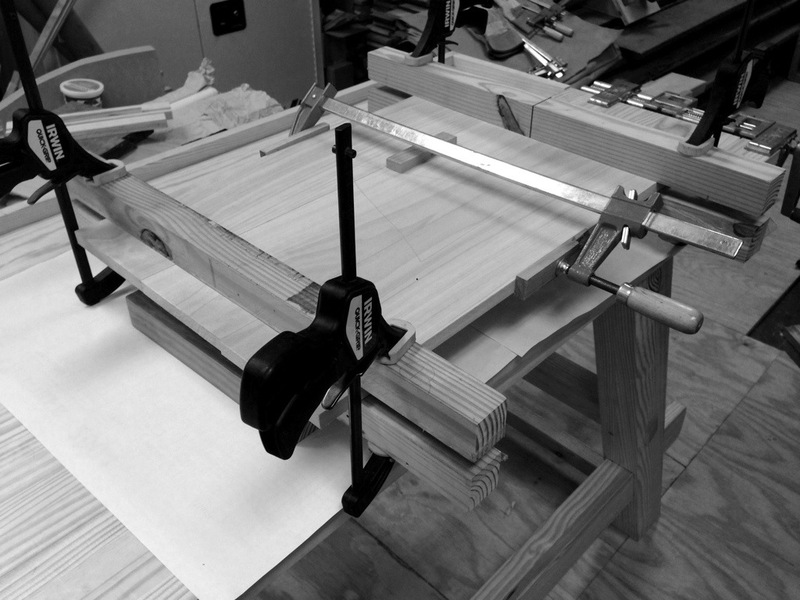 To perform this task, the breadboard ends are pegged in place through enlarged holes in panel tenons. This leaves the edges of the panel field free to protrude beyond and within the extents of the end boards. Cyclically throughout the year, the panel field will be wider than the end boards, while at other times the reverse will be true. Rarely will they ever be flush – a necessary trade-off. The profiled perimeter is based on the measurements, and drawings made during my visit to the Getty museum. 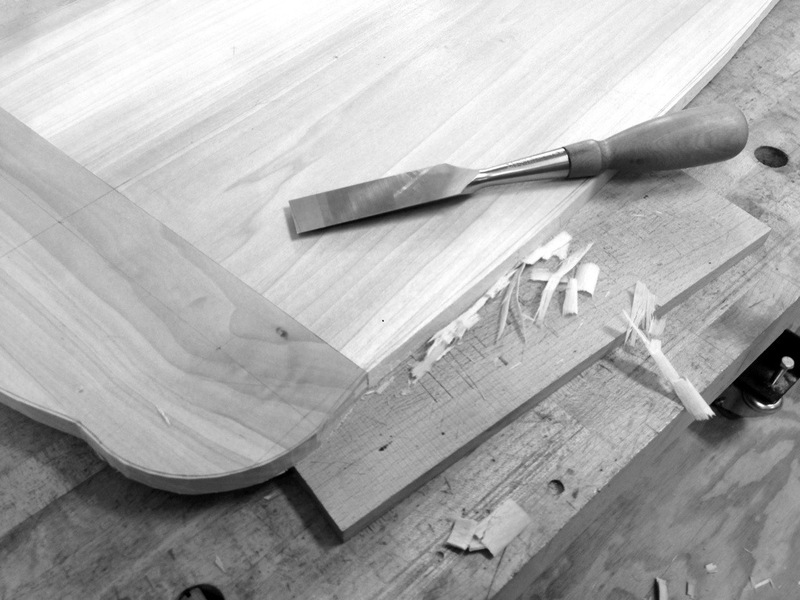 The process begins with the selection of a suitable board, which is cut into appropriately long pieces. 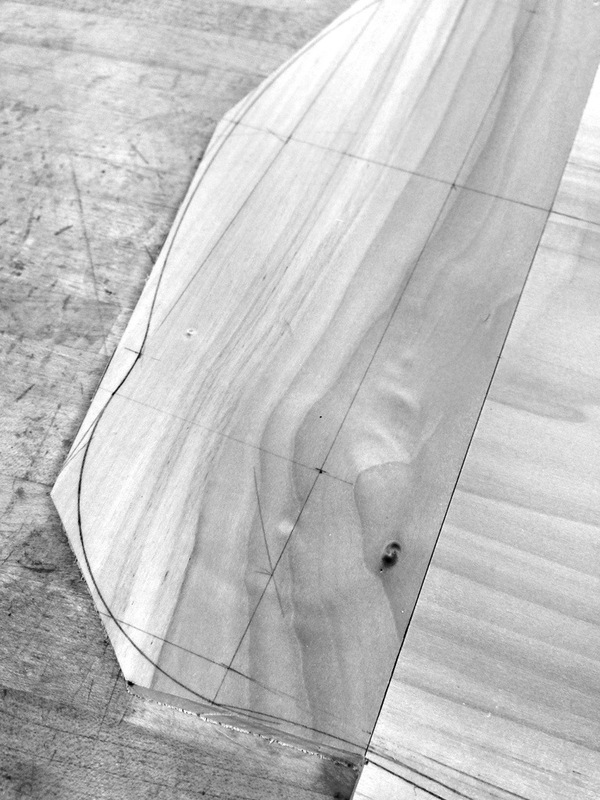 These are hand planed down to the requisite thickness. Several boards are glued together to form a panel. 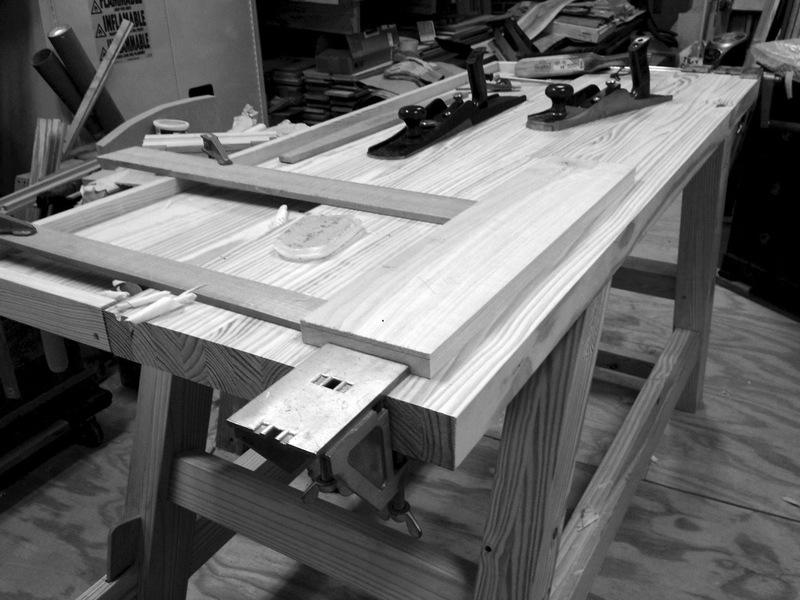 On this panel, “tongues” are created on either end using a moving fillister; matching grooves are ploughed in the remaining boards, the breadboard ends. From the “tongues”, the majority of the material is removed except for three tenons, one at the center and the others on either end, leaving a much shorter “tongue”, approximately 3/8 inches wide. This tongue is what effectively holds the panel flat through the changes in seasonal humidity, held in place within the groove of the end boards. 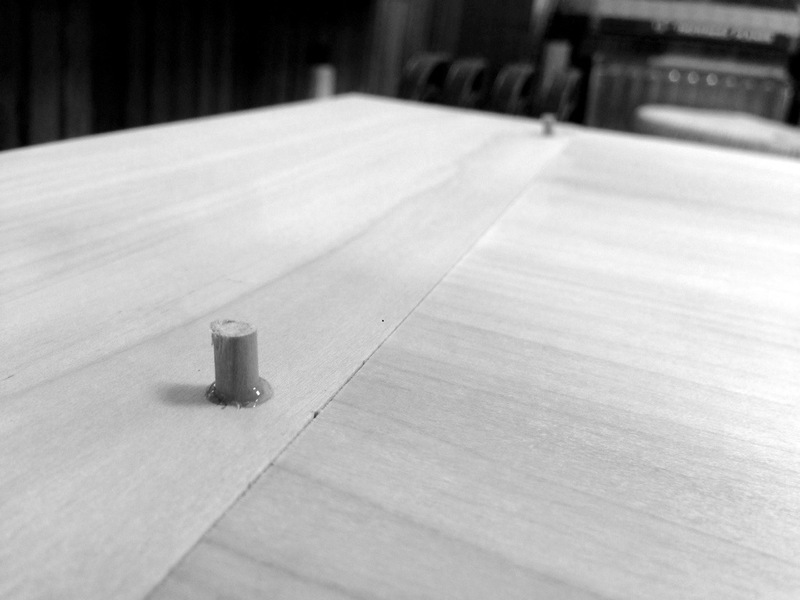 The breadboard ends have been pegged in place through elongated holes in tenons to accommodate seasonal movement. 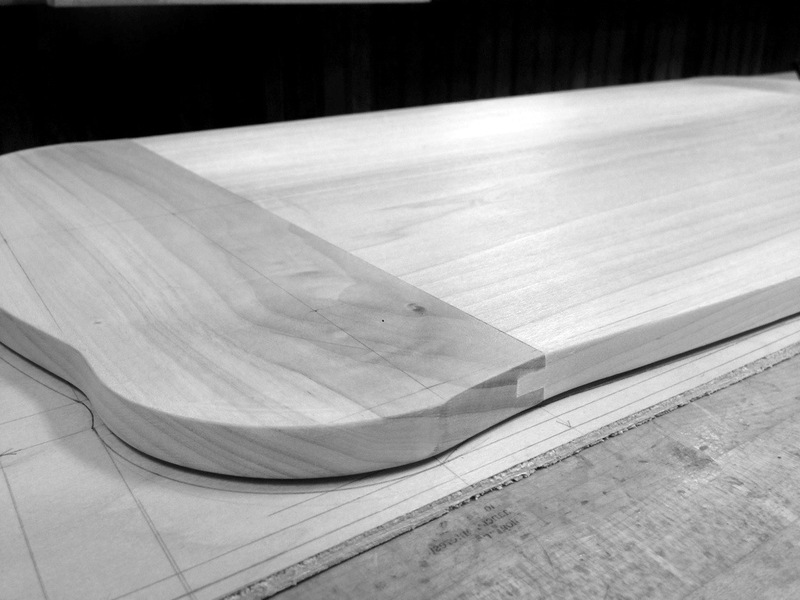 With the panel complete, the table top profile is laid out. Most of the waste is sawn off. Chisels are used to pare the remaining material to the layout lines. The profile is then scraped, filed, and sanded to fair smooth curves.